Cosmoenergy is the use of certain reasonable forces of the Universe for the benefit of man. It has been scientifically established that the intelligent cosmic forces of the Universe, with your particular mood and agreement, will do a tremendous job inside you to transform your whole human nature. The only thing that is required of you is the complete surrender of yourself to the Highest Intelligent Cosmic Force itself, then work with you will be performed by the most perfect and most intelligent force of the Universe. You just need not to rejoice too much and not worry about time, because the Highest Reasonable Forces inside you do a tremendous job, transforming your whole human nature into a higher order nature, compressing centuries of evolution to decades and even several years. There is no reason to fear any aggravations. Any slightest event inside and outside of you will be skillfully planned and accomplished by the Infinite Wisdom of the Higher Cosmic Forces so that, by tying together, they eliminate imperfection in you. We can speak long about man’s biofield and all the same information will be insufficiently. First of all we have define what is primarily: physical object or a field which this physical object forms. We’ll start with the facts. In 1940 professor Harold Berrog Yela University studying the form of the power fields surrounding alive plants and animals, investigated the form of electrostatic fields of salamanders and has found out, that cubs of salamanders possess the electric fields repeating the form of an adult animal. Berr wished to find out, at what stage of animals development this field appears for the first time. So he has started to make cards for more and more early stages of embryogenesis and found out that field exists already in not impregnated egg-cell. This opening contradicted to human biological and genetic theories of that time. Berr also experimented with electric fields around of small shoots. His researches have shown, that the electric field around shoot has no form as a shoot, but reminds an adult plant. Results gave supposition that any developing organism follows in advance ordered program of growth which is defined by an individual field of the last. Modern researches have given greater persuasiveness to Berr 's theories about the biopower fields causing features of biological growth and publications connected with photographing of fields of alive objects basing on method of Soviet scientist Simeon Kirlian, and their subsequent studying. First fotos of auras husband and wife Kirlians made in 1940. Same year Berr studied fields of alive essences. Both scientists independently from each other have developed the experimental techniques that allowed to determine changes in power fields of alive essences and lifeless objects. Berr in his researches applied usual voltmeter and data fixed changes of micropressure size. Kirlians studied the same fields around of an alive body, but in its electrographic method electric changes have been replaced by supervision of a field. Both scientists independently from each other have found out, that such diseases as a cancer are caused by essential changes in biofields of alive organisms. Analyzing by means of the voltmeter distribution of electric potentials on a surface of skin, Berr made his opening. Kirlian made fotos of body sites in crown discharge for researching changes in power fields which in a consequence cause can lead to various diseases. Since then, as Kirlian has developed the new approach to studying plants and animals by means of electograph, many scientists have confirmed diagnostic potential of this method. Electrography (in most simple form) is based on the phenomenon of crown discharge. For example, if we place electricity-earthed object in a high-frequency electric field, between it and the electrodes generating a floor, will slip sparks. The term " crown discharge " is appeared in process of supervision over electric categories around of round objects: thus the pattern formed by sparks along edge of a subject, reminds the crown of the Sun observable at a solar eclipse. During studying the form of crown discharge around nail phalanxes of person it was possible to receive the valuable biological information, important for diagnostics such disease as cancer. Beautiful patterns of crown discharge around various kinds of leaves (of trees) have appeared even more interesting, than electrography of finger tips. By means of electrography the unique phenomenon was found. It’s name is "effect of a phantom leaf ", and it can be observed, when the top third of leaf is cut off and destroyed. The remained part of a leaf then is photographed by an electrographic method. On electrogram of a leaf with the removed fragment the picture of a untouched, whole leaf appears. The cut off part is still visible in a picture though physically does not exist any more. Skeptically adjusted scientists tried to explain "effect of a phantom leaf ", as result of influence on a film of the moisture containing in a real leaf. Kejtu Wagner, scientific from the Californian university could shake this scepticism. His elegant photographic experiences have shown, that the part of the phantom of a leaf can be photographed and through the transparent block placed there where there should be a phantom. Similar to a ghost, it appeared constantly in spite of the fact that the moisture could not get through the plastic screen. From all of this it it is possible to draw a conclusion, that thin power fields have the certain organized structure, and this structure reflects the certain plan, that is the program which supports life of physical object including ability to live of the person and mankind as a whole. From the above-stated it is clear, that the modern medicine should be added by the newest ideas from the world of physics and other applied sciences. Researches of scientists have established, that mental body of person operates growth. On the basis of these ideas it is established, that many diseases arise at spiritual level. New viewing and correct use of thin powers will allow physicians to lower essentially a level of production and consumption of medicines, to reduce number of surgical interventions and to pass to less injuring and more natural methods of treatment and development of an organism, and also predetermines occurrence of diseases and death of all alive essences. Practical use of cosmoenergy finally will lead to gradual merge of religion and a science - as scientists will start to realize the spiritual parties of a human nature and laws of display of vital force. Holistic tendencies in medicine will give to doctors opportunity to understand, that people should support indissoluble unity of a body, consciousness and Spirit. Only in this case they will be healthy. Traditional medicine should overcome through conservatism inherent in it and go out beyond materialistic outlook peculiar to it. It will be possible to make it by force of modern science, in fact even Einstein's well-known formula Е=mс2 testifies that energy and a matter - two-uniform of the same universal substances. All material objects in the Universe are a product of energy or vibration. The same idea is stated also by academician R.F.Avramenko. He writes: "The Quantum theory has shown, that objects of the real world not local - each object from "microparticle" up to the person, planets, etc. borrows all Universe (recollect what the aura of each of us is boundless?). The visible and tangible border of subjects only limits area of the maximal concentration of substance waves. 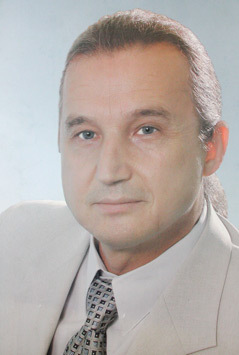 On R.F.Avramenko's opinion to understand and correctly to use this " quantum key " to future, it is necessary to get rid from saved up by a science of " genetic defects ", errors and the statements which are actually making sense only as subjective agreements of scientists about "game rules" for the description of the surrounding validity. In basis outlook on medicine should be put principle of unity and indivisibility of the Person and the Nature, which protogenic essence is energy. Thus it is important to understand, that a duality of the Nature, its division on physical and thin (spiritual world) - only simple reserve. The concept about existence only of physical (material world) has arisen in connection with the limited opportunities of our sense organs to perception of the validity surrounding us. From an infinite spectrum of vibrations of the Universe those vibrations which the person cannot perceive, have been carried by it to the thin (spiritual) world. The medicine, being engaged only a physical body, became completely materialistic, have named the thin world, the world of spirit, soul, a fruit of imagination. Scientists and doctors, colliding with the inexplicable facts contradicting their materialistic outlook (forming their ideas and concepts), state mistrust to the phenomen which prove existence of invisible, inner world. The medical materialism is a shelter for simplified ideas though when great impulses of a truthful life of spirit sacred - "geniuses" of religious area - with contempt are considered as display of hysteria or frustration of intestines, etc. The area that we name prevalence of spirit, represents hierarchy of the certain multivariate power systems ". It is necessary for medicine to recognize and use the invisible world of thin energys (spirit). And then the saving understanding, that Belief is not the enemy for medicine but it Light. Then spirituality will adequately decorate medicine and will enrich with its greatest gift of spiritual healing which miracle force has made possible revival of the Christ.